The Triton Audio Fethead and Cloudlifter are two preamp devices that come up a lot for podcasters searching for the best sound. One reason is that many podcasters looking for a high-end microphone at a lower budget opt for the Shure SM7B, like me! This is a great microphone, but has a very low base output (more on this later). Another reason is that these preamp devices allow you to not go pedal-to-the-metal with your mixer or digital recorders' onboard preamps, which typically add a lot of noise the more you push to maximum. 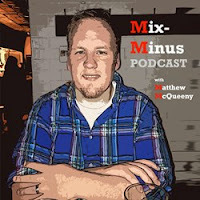 I am no audio engineering expert, but in my zeal to launch the best podcast that I possibly can, I have learned a lot about how you create good sound and all the tricks that go into doing it at a somewhat modest price. At heart, what the Fethead and Cloudlifter each do is add about 20-25 decibels of "clean gain" to your microphone's audio signal, before that signal even touches your mixer or digital recorder. Again, they each add only pure, clean gain. This is a great thing because you are not pushing your onboard preamps, giving them enough headroom to produce at a comfortable range. We can push a car at 80 or 100 mph. But the longer that you put it under that kind of stress, the more that can go wrong. These gain preamps basically allow your car to go 80 mph but the car is only being stressed at the equivalent of 55 mph (or less). My podcasting journey began with about 2-4 weeks of research and then a trip to the local music store. I decided that I wanted a mixing board that would allow for at least a handful of microphones (using XLR inputs), inputs to allow "Mix-Minus" (Skype, Phone) guests, and the ability to play clips from a computer or iPad directly into the mix. I also needed at least two basic microphones. I came away from the music store with a Mackie PROFX 12 mixer, and two sets of Peavey's basic microphone and boom stand package. Once hooked up, I was basically in business. The mixer was able to handle the microphones and I could get a pretty decent sound. The microphones are on the lower-end of quality and that would bear its head at times. Particularly, when speaking too close, it picked up many of the breathing sounds and "pah" sounds that are inherent in speaking but are non-existent in much better mics. My first podcast episode employed this setup. The sound is not bad, though the mix will come across low (which is the fault of the producer - moi - learning to get the best sound in post-production). The Mackie mixer has a USB out as well, but I have all recordings coming from the mixer going straight into a digital recorder, in my case the Edirol R-09HR (discontinued, but this is the current model). This recorder allows you to record in MP3 format or all the way up to the highest audio quality WAV files. 1) many podcasters with experience say that it is a good option until a computer crashes just once and you lose your whole episode. A digital recorder is pretty much fail-safe. It's also a more convenient traveling podcast partner than a computer. 2) many people say the Mackie mixer brings a hiss with it when recording through the USB. I haven't even tried it, but I had read that. Reason 1 should be enough to not, if you have the resources, record straight into the computer. As the podcast bug continued to overtake my being, I decided I wanted to up my game in regards to the microphone. In looking up mics (that are in the $200-$400 range), there are many that will absolutely excel in the job, but the two that were coming up a lot in my research were the Heil PR-40 (left) and the Shure SM7B (right). They both appeared to be great microphones. I chose the SM7B purely on preference, and because two of my favorite broad-pod-casters use them, Joe Rogan and Mike Francesa. When you start podcasting, there is a certain vibe you want to put in place, and it is specific to you. The Heil seems to be great, but I liked the Shure's look a lot better. Again, just me. My preference. "The output level of the SM7B is -59dbV/Pa. For typical speech applications, three inches from the grille, the SM7B requires at least +60 dB of gain at the microphone preamp. Many modern microphone preamps, which are designed for the "hot" output level of condenser microphones, provide only 40 to 50 dB of game"
So, late at night with my OCD tendencies in full effect, my Google searching commenced. Recommendations for fixing my conundrum kept coming back to two devices: the Fethead and the Cloudlifter. In Amazon, the Cloudlifter even will show up as an item "frequently bought with" the Shure SM7B. The Fethead is not available in Amazon, so that is why it doesn't show up there too. *NOTE: The Fethead is now available in Amazon. Each Fethead (below left) is $100, in comparison to the Cloudlifter CL-1 (below right), which is $150 apiece. The Fethead device plugs directly into the base of your microphone, with an out that then plugs into a single XLR cable which goes to your mixer/digital audio player/digital audio workstation. The Cloudlifter is a free-standing device with an in and and out, meaning you need two xlr cables. The Fetheads were supposed to be delivered to my house on a Saturday, the same day I planned to do an important podcast with my Mom about adoption. I was in the house and saw the mail truck outside, and didn't think anything of it. I eventually went outside and saw a note that the package needed a signature. Oh no! The note also said I could pick it up on Monday. Oh no! I needed to do the episode with my Mom and was hoping to use the SM7Bs, which needed the Fetheads! I ended up being able to get the Fetheads when the mail person returned to the post office (and before closing). Victory! We went home, plugged them in, and they were the key to bring the SM7Bs and their beautiful sound to life. You can hear that episode here. Because of the price point and the ability for the Fethead to tie right into the microphone without the need for an extra cable, I would vote Fet. My next project to tackle was having the ability to do podcasts outside of the studio. I live in far Northwest New Jersey and do not always have the ability to have people in studio. I wanted to have a high-fidelity, mobile "studio" for on-the-road pods. You can certainly use the Edirol and use the integrated microphones to pick up audio in a room. This will have great sound, but also pick up a lot of background noise. This episode was done with this method. If possible, I wanted to be able to use Microphones too, which the Edirol does not really allow for. This led me to the gold-standard for roadcasts, the Zoom H4N. This baby has a phenomenal onboard microphone (which comes with a windscreen!) and two XLR inputs on the bottom. So, you can basically do a 3-person podcast with this if you wanted, where each live host/guest has a dedicated mic. This podcast about Google Glass used the onboard microphone and another microphone plugged into the base. This podcast about media consumption and the Economist used the two Peavey microphones plugged into the base (with a Cloudlifter CL-2 as a preamp). How did the Cloudlifter sneak into the discussion, you ask? With the Zoom H4N, I used my leftover (after the Shure SM7B purchases) original Peavey microphones as the road mics. In order to get good levels with these mics, however, I was pushing the onboard preamp gain towards 85-95 out of 100. Noise was entering the fray. So, I decided I needed more clean gain preamplification. For the purposes of comparing the two titans of clean gain preamplification, this time I purchased the Cloudlifter. When purchasing the CL-2, which comes with two mic inputs (whereas the CL-1 is a single input), you are actually realizing a bit of value: the CL-2 is $250 ($125 per input, in comparison to the $150 on the single-input CL-1). When I received this device in the mail, I planned to plug it into the two Shure SM7Bs since they were in my stationary home studio and, with their extra XLR cable needs, would not have to be plugged and unplugged a lot, which could be an inconvenience in a more flexible road setup. Moving the Fethead to the road mics would allow me to carry two less xlr cables. But, the sound from the SM7Bs was horrendous, which was making me crazy. There was SO MUCH noise, and the base sound was bad to boot. Turned out it was the cheap XLR cables that came with my order. Lesson: get good cables! With good cables, all seems well. So, this is my journey so far. I feel very good about my equipment right now and for the foreseeable future. I picked up two more SM7Bs for a fuller and more even-sounding large guest-list podcast. In short, I do not see much difference between the Cloudlifter and the Fethead. To me, it comes down to price and the efficiency of the Fethead needing just one cable - instead of two with the Cloudlifter - to get the job done. *UPDATE* 11/4/13: I did some direct testing with one SM7B plugged into the Fethead and another plugged into the Cloudlifter. They both went into the Mackie mixer and then to an Edirol digital recorder. I do not have tools or know how to exactly test this, but my strong impression was that the Fethead provided greater gain and a slightly better sound with this setup. The Cloudlifter-powered SM7B sounded to me to be not as loud - when put to all of the same volume/gain settings in the Mackie - as the Fethead. Excellent article. Thanks! I'm trying to figure out if you could use the Zoom H4N as an digital recorder in place of the Edirol to economize.